Richard Lee “Rick” Huggins, 82, died on Wednesday, November 7, 2018, in Charlotte, NC. Richard was born July 13, 1936, in North Belmont, NC, to Carl Lee and Elizabeth Farris Huggins. Rick lived a rich and full life, loved deeply and unconditionally, and unceasingly gave and blessed others, whether family, friends, or strangers. His philosophy in life and in business was simple: Do right and honor others, no matter their status in life. He shared freely and asked little in return, constantly had a kind word to say, forgave readily, held no ill will, tipped excessively, and laughed and made others laugh often. He counted his relationships with family, friends, and colleagues as his most prized possessions. He was utterly devoted to his wife of 64 years, Marlene Wallace Huggins. Rick and Marlene were married on March 13, 1954, and their life together of love, devotion, and camaraderie is an inspiration to all around them. They have two sons, Jim and Stacy, for whom their dad is the epitome of fatherly love, integrity, decency, and wisdom. Rick and Marlene have five grandchildren and three great-grandchildren. Rick was CEO and President of Heritage Encon Group, based in Charlotte, NC. He began his career with Heritage Encon’s predecessor company in 1960 as a “take-off man” and ascended through hard work, integrity, and commitment to others to the helm of the company in 1988. 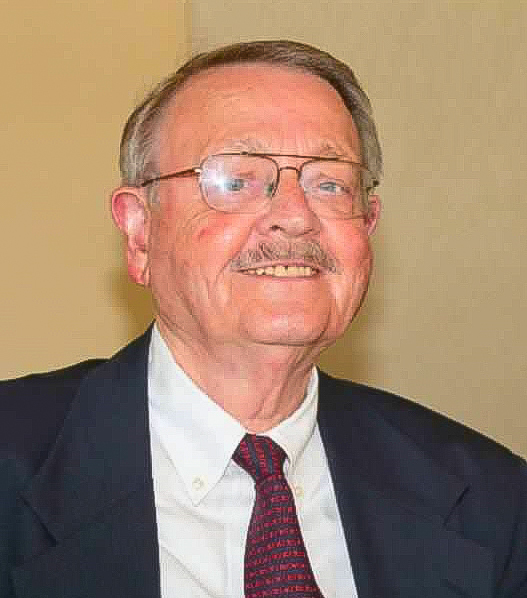 He was a leader in the insulation construction and distribution industry, but more importantly to him, an employer who deeply cared about the people who worked with him towards personal and professional success. Rick mentored and inspired countless others, both in his industry and in every business with which he had contact. Rick also enjoyed golf with friends and was a member of Pine Island Country Club for over 50 years. He served the club as a board member and as treasurer and forged many friendships among fellow golfers. Richard Huggins is survived by his wife, Marlene Wallace Huggins and his two sons, James Carl Huggins and wife Sharon Bumgardner Huggins, and Stacy Lee Huggins and wife Wendl Johnson Huggins, as well as a brother, Edward Pressley Huggins, and a sister, Mary Anne Huggins. He is also survived by five grandchildren – Rachel Huggins, Mark Huggins, Amanda O’Brien, Andrew Huggins, and Melissa Huggins; three great-grandchildren, Jaden, Aoife, and Violet; and his nieces, Angie Johnson, Carla Gaston, Mary Ballard, and Lavonne Beach, and nephew Larry Hilliard. He was preceded in passing by his sister, Betty Carolyn Huggins Hilliard, and by his parents, Carl Lee Huggins and Elizabeth Farris Huggins, and nephew Phil Johnson. The Huggins family will celebrate Richard’s life Saturday, November 10, 2018, at 2:00 pm in the pavilion at Pine Island Country Club, 1701 Stoneyridge Drive, in Charlotte, NC. A reception will follow. In lieu of flowers, please consider a donation in memory of Richard L. Huggins to either Holy Angels at holyangelsnc.org or Belmont Community Organization, 91 Catawba Street, Belmont, NC, 28012.